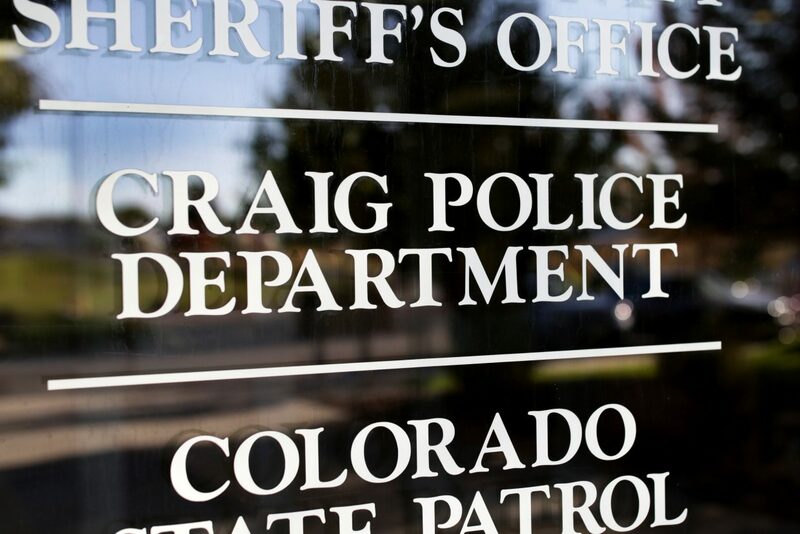 CRAIG — More questions than answers remain following an open records request to city officials in late August which sought to understand the reasons for the forced retirement of former Chief of Police Walt Vanatta. However, the correspondence did shed some light on who led the decision and the timeline in which it unfolded. The request sought all emails and text messages exchanged between Craig City Manager Mike Foreman and members of Craig City Council between June 1 and Aug. 15 pertaining to Vanatta and the police chief position. The writings are public records and subject to the Colorado Open Records Act. After 19 years as the department’s chief, Vanatta’s retirement in early August came on the heels of controversial budget cuts driven by city leadership that resulted in a restructuring of the police department. The news of his retirement took the department, the community and Vanatta, himself, by surprise. • What is the agenda behind the decision for the police chief, and which individuals drove the decision? Based on text and email exchanges between Foreman and Craig Mayor John Ponikvar, it appears Ponikvar led the decision. However, not all council members had yet been consulted about the decision by that date. Council never held a meeting to discuss the matter, though it is not required by law to do so. Decisions regarding city personnel, including the police chief, belong squarely with the city manager. Councilman Derek Duran was copied on the June 26 email, and records show that Ponikvar also immediately forwarded the email to Councilmen Jarrod Ogden and Tony Bohrer. It doesn’t appear council members Andrea Camp, Joe Bird or Chris Nichols were included. Foreman then met individually with council members and reportedly informed them of the decision to dismiss Vanatta and asked how they felt about it. Councilman Joe Bird recalls being called in to meet with Foreman right before a council meeting and told that “council has lost confidence in the police chief’s performance. What do you think about that?,” he said. Though individual meetings don’t constitute a violation of open meetings law, city officials walk a fine line if they represent council’s collective view in individual meetings with council members. That technically could constitute a violation, according to Jeff Roberts with the Colorado Freedom of Information Coalition. Regardless, though Foreman said the decision was due to council’s “lost confidence” in Vanatta, it appears Ponikvar and Foreman were primarily responsible for leading council to the decision. “I can say a majority of council wanted to move forward with that,” Ponikvar said. • Was Vanatta’s dismissal related to how he implemented budget cuts made at the police department over the summer? In several communications, Ponikvar indicated he felt Vanatta didn’t cooperate or implement budget cuts according to council’s and the city manager’s wishes. “During the seven months I’ve worked with Walt Vanatta, he’s done great job as police chief and has been able to work with me and handled those changes very well,” Foreman said. Vanatta said he and the mayor had never communicated directly except for on instance in a single budget workshop with city council. Again on July 5, Ponikvar shared his discontent. “Sounds like the PD is having a reorganization meeting this morning. Walt is keeping that whole department on edge with nothing positive or productive at this point,” he wrote in a text message to Foreman. Vanatta said he simply recounted the changes to his staff that he was directed to make. As for the deeper reasons behind the decision to replace the chief, Ponikvar refused to go into greater depth, citing it as a personnel matter that can’t be discussed publicly.